#PhilipWilsonSteer (1860 –1942) was known as a British painter of landscapes, seascapes but he also dabbled in portraitures and figure studies. His sea and landscape paintings made him a leading figure in the Impressionist movement in Britain but in time he turned to a more traditional English style. Steer was clearly influenced by both Constable and Turner. As he aged, Steer spent more and more time painting in the countryside rather than on the coast. He was also an influential art teacher. As a painting tutor at the Slade School of Art for many years he influenced generations of young artists. After Steer was rejected by the Royal Academy of Arts, he travelled to Paris where he studied and was greatly influenced by seeing works by Manet, Whistler and other French impressionists. Steer returned to England and established a studio in London. Here he developed his own impressionistic style in which he depicted beach scenes and seascapes. Steer often stayed in the towns of Walberswick and Southwold. Many of his coastal scenes are inspired by these two places and are remarkable for their freshness and depiction of light and shade. Later in life, Steer began to lose the sight in one eye. 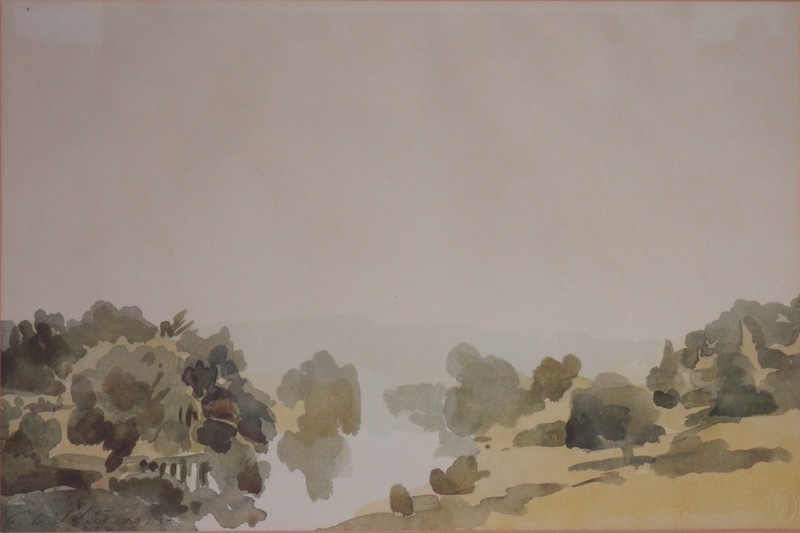 Although he continued to paint, he did mostly in watercolours and his compositions became much looser less defined and at times almost abstract. By 1940 he had stopped painting altogether. This entry was posted in Watercolour paintings and tagged landscape, misty morning, Philip Wilson Steer, river, Severn River, trees. Bookmark the permalink.